Natec Genesis GX75 is a professional mouse designed for gamers. What makes it special is the precise optical sensor and attractive gaming design. GX75 has been created for FPS gamers. Proof of this is optical sensor with an ultra-low LOD (Lift of Distance) parameter, which also works great while playing on low DPI level. This sensor is also highly resistant to signal loss which ensures smooth and precise movements, which are particularly important in shooting games. 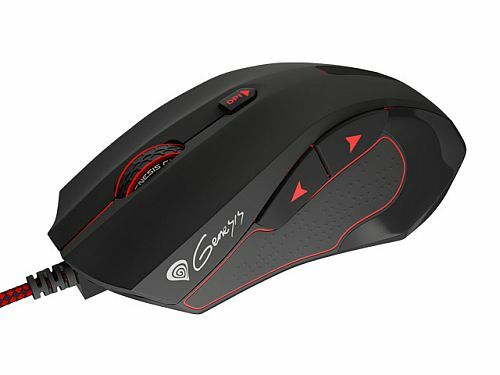 The mouse is equipped with a high-precision optical sensor PMW3310 with maximum resolution up to 7200 DPI and ability to change DPI sensitivity ON-THE-FLY in four levels. To each DPI level you can set one of 16 mil. backlight colors which will inform about current DPI level. In addition, the sensor offers the report rate from 125 to 1000 Hz, which ensures the fast response time and uninterrupted gameplay. Advanced software also allows to set sensitivity of sensor from 400 to 7200 DPI. Unique shape of the mouse Genesis GX75 is designed for players who use the handle of mouse PALM GRIP. It is distinguished by ergonomic shape and large side buttons, which ensures that even several hours of using the mouse will be still comfortable and pleasured. Proof of unique design is care taken for every detail, backlight of some elements and metal finish in back part are provide an original and attractive appearance, which will help you to stand out against other players. 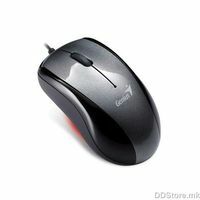 Mouse Natec Genesis is characterized by using of high quality materials and proof of this is to use of durable main button switches of brand OMRON which provide reliable operation with up to 10 million clicks.